FLIGHTS will become bumpier as global warming destabilises air currents at altitudes used by commercial airliners, climate scientists warn. Already, atmospheric turbulence injures hundreds of airline passengers each year, sometimes fatally, damaging aircraft and costing the industry an estimated $145 million, scientists say. "Climate change is not just warming the Earth's surface, it is also changing the atmospheric winds 10 kilometres high, where planes fly," said study co-author Paul Williams of the University of Reading's National Centre for Atmospheric Science in southeastern England. "That is making the atmosphere more vulnerable to the instability that creates clear-air turbulence. "Our research suggests that we'll be seeing the 'fasten seatbelts' sign turned on more often in the decades ahead." Turbulence is mainly caused by vertical airflow - up-draughts and down-draughts near clouds and thunderstorms. 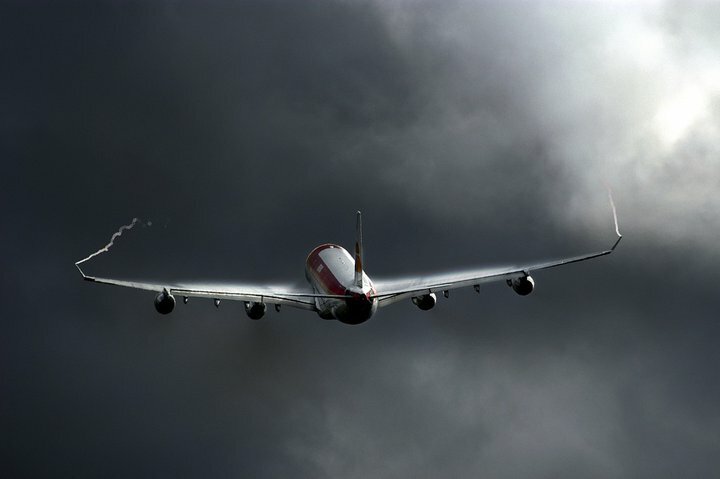 Clear-air turbulence, which is not visible to the naked eye and cannot be picked up by satellite or traditional radar, is linked to atmospheric jet streams, which are projected to strengthen with climate change. "Turbulence strong enough to make walking difficult and to dislodge unsecured objects is likely to become twice as common in transatlantic airspace by the middle of this century," said Mr Williams. Williams said CO2 caused non-uniform warming, which increased the jet stream winds. "A stronger jet stream means the atmosphere is less stable, which creates more turbulence," he explained. The study, published in the journal Nature Climate Change, said planes already spent about one per cent of their cruise time in strong clear-air turbulence. Frequent flyers had reported bumpiness to be on the rise, but this was the first study to actually measure the projected impact of climate change, said the authors. "Flight paths may need to become more convoluted to avoid patches of turbulence that are stronger and more frequent, in which journey times will lengthen and fuel consumption and emissions will increase," they wrote. "Aviation is partly responsible for changing the climate in the first place," added Mr Williams. "It is ironic that the climate looks set to exact its revenge by creating a more turbulent atmosphere for flying."